Mdina is a fortified city in the Northern Region of Malta, which served as the island's capital from antiquity to the medieval period. The city is still confined within its walls, and has a population of just under 300. 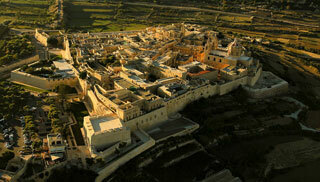 This article uses material from the Wikipedia article "Mdina", which is released under the Creative Commons Attribution-Share-Alike 3.0 License.